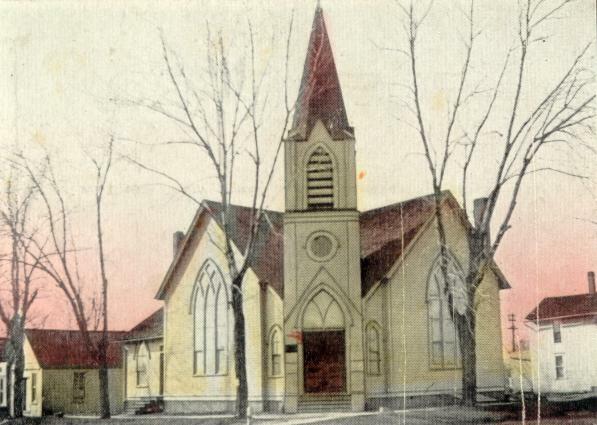 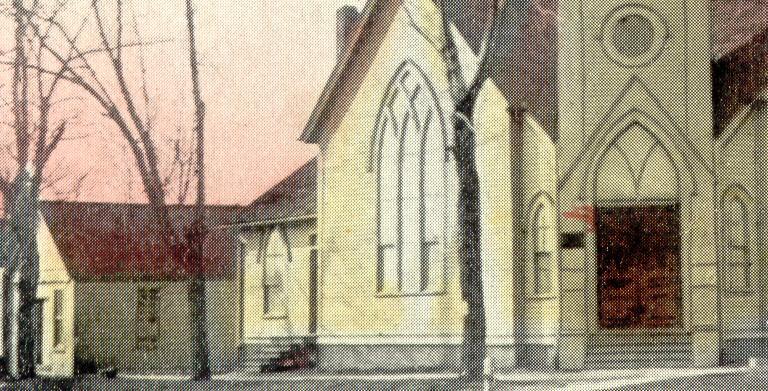 Early 1900s image of the Leroy Universalist Church located on the park.In its place now stands the Leroy American Legion Building.The organ that was in the High School Auditorium came from this church. . .